The Delhi Government on Friday appointed senior lawyers Gopal Subramanium and Dayan Krishnan to contest the appeal of Nitish Katara murder case convicts in Supreme Court. 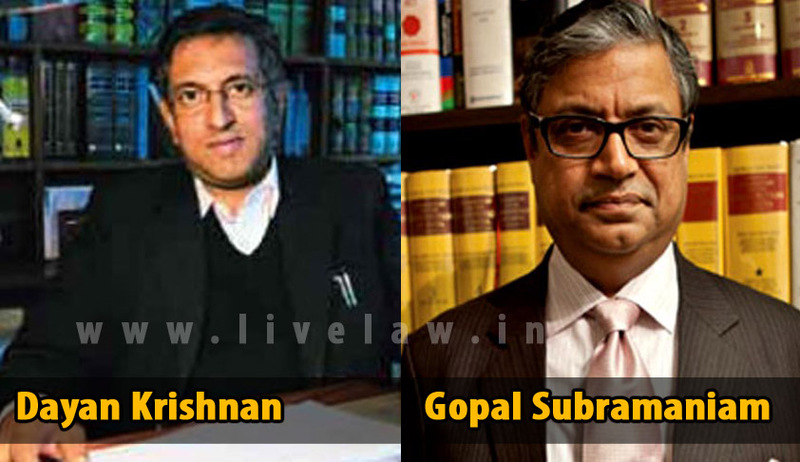 “On the request of Neelam Katara, the home department has appointed senior lawyers Gopal Subramanium and Dayan Krishnan to contest the appeal of Vikas Yadav and Vishal against their imprisonment in the Supreme Court,” said a senior government official, as quoted by The Hindu. Earlier a Division Bench of Delhi High Court comprising of Gita Mittal & J.R.Midha JJ, refused to award death sentence to Vikas and Vishal Yadav in the much hyped Nitish Katara murder case and said that it was a case of “honor killing.” The bench had stated that the meticulous planning and execution of the crime, the brutality with which it was executed and various other factors and circumstances certainly brought the present case in the category of ‘rarest of rare’ cases, which means only 14 years of imprisonment was grossly inadequate. Read the full judgement here. Vikas Yadav, son of Uttar Pradesh politician D. P. Yadav, his cousin Vishal and Sukhdev are convicted of abducting and killing Nitish Katara, a business executive and son of an IAS officer, on the night of February 16th -17th, 2002. The allegation leveled by the prosecution was that the Yadav’s allegedly killed the victim, as they did not accept his alleged affair with their sister Bharti Yadav. The High Court on February 6th, 2015 had enhanced the sentence for Vikas Yadav and his cousin Vishal from life imprisonment to twenty-five years without remission for the murder of Nitish Katara and five more years for destruction of evidence in the case. The court had held that the murder of Katara, who was in love with Vikas's sister, was an "honour killing" which was done in a very "carefully planned and premeditated" manner with "extreme vengeance". Vikas and Vishal have now moved to the Supreme Court against the Delhi High Court's verdict.